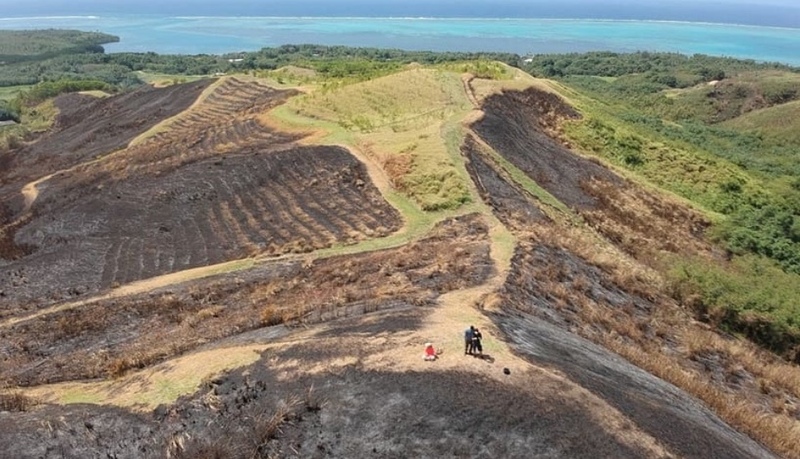 Did you know that wildfires on Guam burn an average 3.3% of the island's area each year? That's a lot, when you consider Guam is only 210 square miles. Fire has immediate impacts on the communities, forests, and the fringing reefs of this small island. Join us to learn about wildfire's major drivers, social context, and management on Guam, including the Guam Forestry and Soil Resources Division (FSRD) community-focused prevention and education efforts. Natural Resource Managers, Conservationists, Environmental Community Organizers, and those interested in learning more about Guam's natural resources and fire management. Christine Camacho Fejeran is a Forester and Cooperative Fire Protection Program Manager for the Guam Department of Agriculture, Forestry & Soil Resources Division. She serves in many wildfire management capacities, from running outreach and engagement programs for students and the community, planning fuel breaks, fighting brushfires, coordinating and managing wildland fire training and support for Guam Forestry and partners, and grant management.